Do you feel like you’re tapping a dry well every time you try to pump your breasts? Are you looking for a natural way to boost milk supply so you’ll have enough to feed your baby? If so, the right lactation tea might be enough to save the day. Some women need a little help with their milk supply and that’s nothing to be ashamed about. To learn more about lactation teas and their milk-boosting properties, keep reading this guide and learn what our favorite picks are. Use the links above to check the latest prices or read our in-depth lactation tea reviews below. Who Can Benefit From Lactation Tea? Is There Anyone Who Shouldn’t Use Lactation Tea? How Much Tea Per Day Should I Drink? Herbs and teas are some of the most tried and trusted medicines on Earth. People have used them for thousands of years for various purposes. Long before there were labs and scientists, people were using teas and herbs to help with their ailments. Low milk supply was one of those ailments. Certain herbs, such as fennel, anise, coriander, and fenugreek are known for their ability to help women produce more milk. This is important today, and it was crucial in the days where you couldn’t buy formula to supplement your baby’s needs. If it’s worked for that many years, it’s worth a try to see how much it can help you. If you want to try lactation tea, one of the herbs you want to check out is fenugreek — it’s a real star amongst breast milk boosting herbs. Moms who are low on milk might want to consider it. Lactation tea can also help moms who are trying to build a freezer stash for when they go back to work. When trying to boost milk supply quickly, however, it’s always best not to put all your eggs in one basket. You should try other tips as well, especially if you’re opposed to supplementing with formula in case your milk supply doesn’t respond as well as you’d hoped (source). 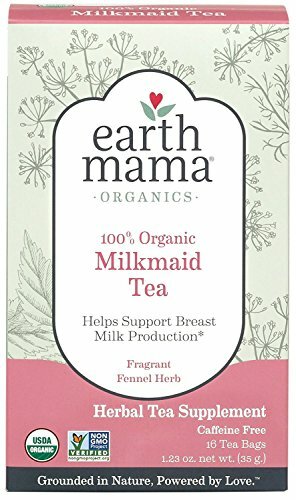 And if you decide you’re going to try a galactagogue (which is just a fancy name for an herb that’s used to boost up breast milk supply) try more than one in your tea. Adding additional herbs may do you more good than just having one and it can also enhance the flavor of the tea. Just because something is natural and herbal, doesn’t necessarily mean it’s safe. A good lactation tea blend will boost your volume and, if you’re like me, give you a nice daily ritual and a few calm moments to yourself. Just make sure you’re choosing something that’s safe and effective. Here are six products we feel match that criteria. Women who want to incorporate several galactagogues into their lactation tea will feel like their bases are covered because this one has five — blessed thistle, fenugreek, coriander, anise, and fennel. But women who are allergic to any plant related to parsley or chamomile should stay away from this because it could trigger symptoms from that allergy. 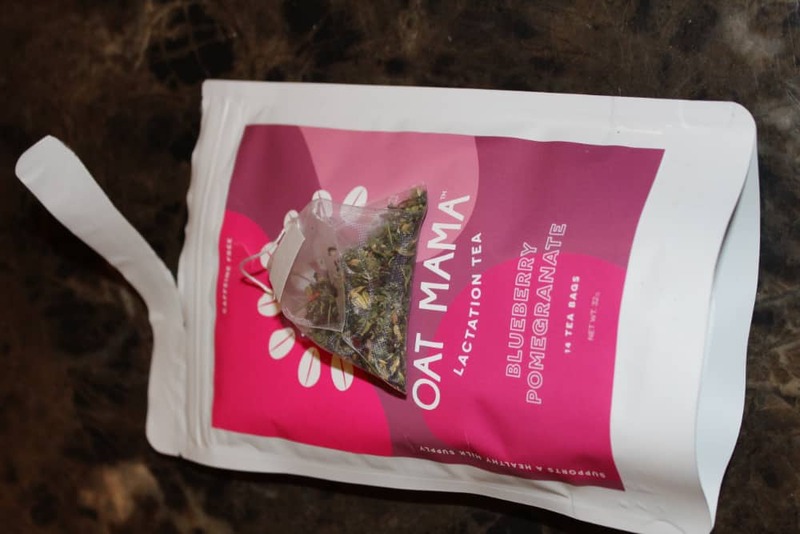 While this tea can have a strong smell right outside of the box, you should still give it a try since some moms said the taste is better than the smell. Moms who like to take in a daily dose of inspiration along with their tea should like how the tags come with positive quotes on them. These are a sweet and encouraging little bonus in addition to the tea’s milk-boosting properties. While some lactation teas only have to steep for 5 to 7 minutes, this one needs to go for ten full minutes. This tea has a licorice-like flavor that some women might not enjoy. This tea has three herbs that have long been known to boost breast milk production — fennel, fenugreek, and anise. It can also help moms with relaxation because of the added lavender. Being relaxed can further aid with breastfeeding and milk supply because the breast milk starts to flow faster and easier when you’re feeling chill. The blend also contains chamomile, which women can find soothing if they have an upset stomach. 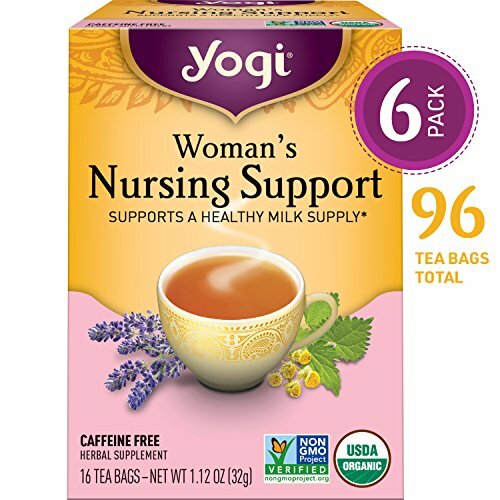 Because this tea doesn’t use artificial flavors or sweeteners, it’s appropriate for women who have sensitivities to them, plus it’s gluten-free, vegan and kosher. For those who like to use organic products, this tea is a good choice because it’s USDA certified organic and uses non-GMO products. The tea bags are compostable for moms who like to reduce their waste. The added lavender is excellent for relaxing. Contains fenugreek, which is one of the best galactagogues. Women who have ragweed allergies should avoid this because of the chamomile. The anise in this drink makes it taste like black licorice. Some women love to use loose leaf tea because they worry about the chemicals and potential toxins in tea bags, which have sometimes been bleached. If this is you, then you’ll appreciate that Herb Lore tea is loose leaf and lets you skip the tea bag. 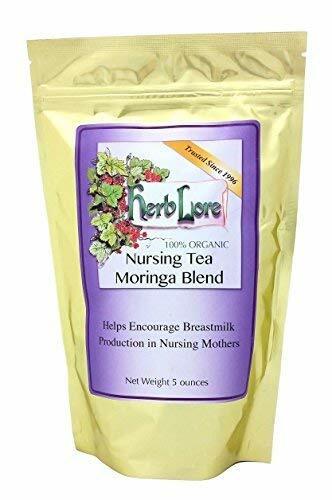 This tea contains moringa, which has a great reputation when it comes to upping your breast milk production. Plus, moringa is loaded with vitamins, protein, iron, antioxidants, and amino acids. Because this tea doesn’t have anise in it, it doesn’t taste like licorice, which is nice for moms who don’t like that flavor and have to contend with seemingly every lactation tea tasting the same. And since this tea is loose leaf, you can control the amount you want to use, which is nice for moms who like their tea a little stronger, but who don’t want to use two tea bags for one cup. It contains fennel, which is one of the more powerful and well-known galactagogues. This might be a good option for women with twins because of the strength of the galactagogues. 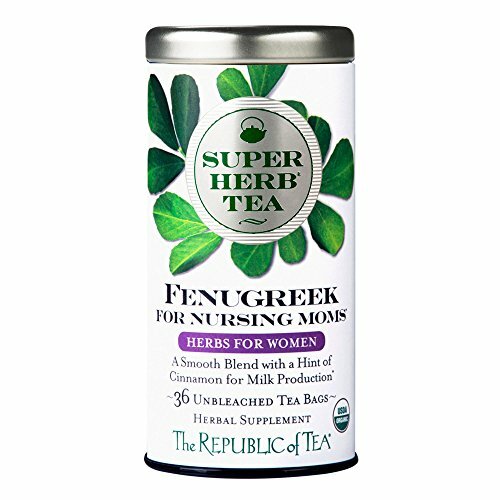 This formula doesn’t use fenugreek because as a loose leaf tea it wouldn’t be possible to regulate how much made it into each cup. This cup has to be steeped for 15 to 20 minutes — that’s a long time for a busy mom. This tea makes use of organic fenugreek seeds, one of the most popular and powerful herbs for increasing your milk supply. A bit of organic cinnamon has been added to the mix, which really improves the flavor. The only other ingredient is carrot. Because it uses all-organic products, moms don’t have to worry about pesticides. Packed in unbleached tea bags, this is a good pick for anyone worried about the harmful chemicals that come with processed tea bags. There are no tags or strings on these bags either, and the blend contains no gluten. Overall you can be confident that each all-natural cup is doing something great for your baby. No bleach is used in the tea bags. The cinnamon adds to the flavor. Moms who aren’t concerned about the bleach content in tea bags may miss having the tag and string, which make it easier to remove the tea from the cup. It’s a bit pricier than some other options. This tea also contains a wide assortment of herbs that encourage more milk, including fennel, fenugreek, milk thistle seed, anise seed and caraway seed. Having so many herbs that help with production will make some moms feel they’re doing everything in their power to drum up some extra milk for their babies. Moms who want to use natural products that haven’t been tampered with or genetically engineered in any way will like that these herbs are GMO-free. There are so many things to worry about as a mom, and the safety of your food and drinks shouldn’t be yet another thing. This brew is naturally caffeine free, which will ease the worries of moms who plan to drink several cups of it every day. A nurse herbalist formulated this tea. Some moms said they had to improve the flavor by adding honey or sugar. This tea is a little pricier than some others on the market. If you’re a fan of flavored tea and you’re searching for ways to bolster your breastmilk supply as your child grows and needs more, take a deep breath and don’t worry, mama. Fenugreek-free teas, like the ones made by Oat Mama, can be an effective way of boosting your flow without any unpleasant side effects, such as body odor. These teas are also caffeine free, which is one less thing for you to worry about. They don’t contain any calories. And they’ll help you get the extra water you’ll need when you’re breastfeeding. A plus is that unlike some lactation teas, this doesn’t taste like black licorice or fenugreek, which can be a turn-off for some moms. The flavors, such as the blueberry pomegranate blend, are made from organic herbs and natural fruit flavors. You’ll get a pleasant taste and still feel like you’re doing all you can for your milk supply with every sip. This doesn’t have that overpowering licorice flavor some lactation teas do. Doesn’t contain fenugreek, which can cause a strong body odor in many people. Comes in more than one flavor. You never know when those pregnancy cravings will hit and change your appetite. 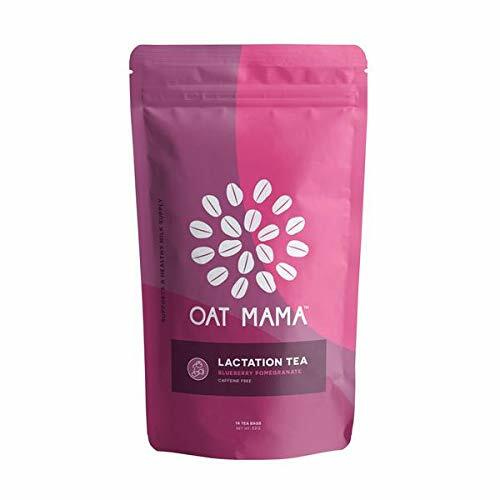 This special lactation tea was created to be delicious hot or cold, so you can enjoy it no matter what you’re craving. It’s got a sweet and tasty blend of organic herbs, including fennel, fenugreek, anise, and spearmint. Overall, this tea has a yummy mint flavor and is best prepared by steeping each tea bag in boiling water for five minutes. It’s most effective when taken 1-3 times a day. We love the special pyramid tea bag design, which holds a larger and more flavorful portion of tea. The formula works to boost milk production and flow, while helping your baby’s digestion issues, colic, and gas. It’s also great to help busy moms stay hydrated. You get 15 tea sachets in a box, which makes 30 cups of tea — each sachet makes two cups. Since you can enjoy it cold, we suggest making a cup to drink hot and then storing the other in the fridge. Enjoy this tea hot or cold. Organic herbal blend improves milk flow, production, and taste. Yummy mint flavor is strong and delicious. Tea may go to waste if you can’t drink two cups in one sitting and you don’t want to store the rest. The biggest no-no you’ll sometimes hear about drinking tea while breastfeeding is the caffeine content. As your doctor has probably told you, caffeine can impact your baby by making them jittery. But lactation teas are generally caffeine free, so that means you’re in the clear right? Not so fast. First, you should consult with your doctor or medical professional. The problem is that not all herbal teas are created equal. Some are safe during pregnancy, while others are questionable or should be avoided. If you’re thinking about trying lactation herbs, here are some things to check first. Make sure it doesn’t contain much caffeine, especially since you may be drinking several cups a day. Check the list of ingredients and make sure your doctor signs off on them. Err on the side of caution and skip drinking any teas that contain plants you’re allergic or sensitive to. Don’t buy anything that isn’t labeled clearly. Only buy your teas from a trusted source. If you’re taking any medications, ask a pharmacist to make sure the tea won’t interact with the active ingredient in your medications. That isn’t a complete list of herbs to avoid — just some of the more common and popular options. When in doubt, always consult your doctor. Mint teas — you can use a little of these if your baby has colic because it may help soothe their tummy if they get the benefits through your breast milk, but don’t overdo it. You’ll want to try to drink about three cups a day. Depending on your taste buds, you may love the taste. If you don’t, try to improve the flavor by adding a bit of sugar or honey. If that isn’t doing the trick, add a little juice and see if that helps. Some people like to drink their lactation teas hot, but if you’re not a hot tea type of person, you can easily put it over ice. After you’ve tried this tea for a few days and you notice an increase in your milk supply, try cutting back by a cup or two in your daily diet and see if that makes a difference in your supply. You might find that your supply will continue at the rate it reached after you started drinking lactation tea. If it drops back down, you can always add a glass or two back into your diet. Regardless of how your supply does, you shouldn’t stay on these teas permanently. You should constantly try to wean yourself off. If you don’t take short breaks from them, your body can get used to them and they may eventually stop helping your milk supply (source). 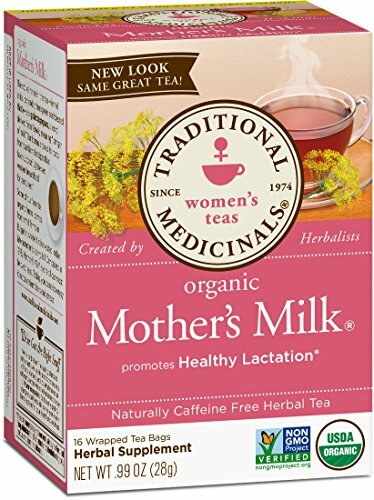 One of the best lactation teas you can get is the Traditional Medicinals Mother’s Milk tea. With five organic galactagogues packed in this tea, you’ll be doing everything you can herbally to stimulate your production. Plus, it has fenugreek, which is one of the best herbs you can use to increase your supply. One other thing about this tea that I love is the inspirational quotes on the tags. What mom doesn’t like a message that makes her feel good or think about her life and her purpose? I have been using fenugreek to establish my supply but it was making me super gassy as well as my baby. I had to stop taking this and started drinking “Healthy nursing tea” which’s good for our stomach and it helps with lactation. I can produce enough to satisfy my child. Did anyone start drinking these teas before giving birth? If so how many weeks before did you start?